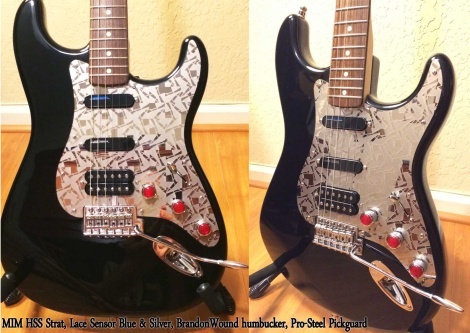 Jonathan in Florida Tweaks a Blackie Into a Real Players Strat, Including the Kaleido Guard. Another shot of that amazing pickguard. Looks 3d in person and fit perfect. 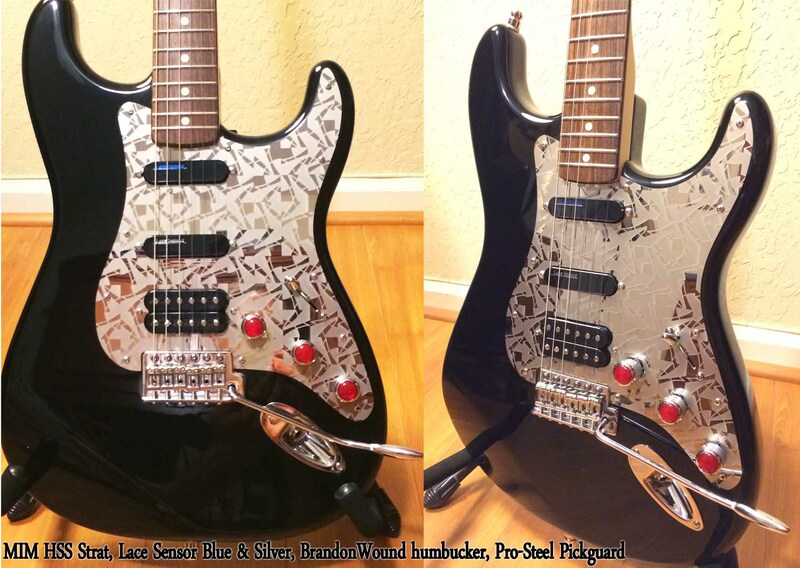 This one has 2 Lace Sensor pickups and one amazing Brandonwound Pickups humbucker mounted on a Pro-Steel Pickguards on a Mexi body and neck with locking tuners and a trem tune-up. This guitar makes me smile. - Andy, Guitar Tech. Cheers Jonathan for more great pics, also Andy the guitar tech whizo for making your Strat project a reality..